There is an article in the news that talks about ethanol's effect on fuel mileage. While it is true that ethanol contains less energy than gasoline, to lose 4 miles per gallon the vehicle would have to be getting over 100 miles per gallon on pure gasoline. According to a NorthWest Cable News analysis, a car that averages 30 miles per gallon would spend $11.66 on a 100 mile trip if gas costs $3.50 a gallon. The same trip using the ethanol, or E10 blend, could cost up to $13.46. 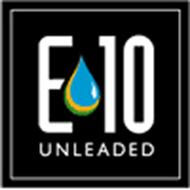 Over an average driving year, about 12,000 miles, a motorist could pay up to $215 more for using E10 gasoline when compared to regular fuel. From checking the math, the comparison is against a vehicle getting 26 miles per gallon on E10, suggesting a loss of over 13% in fuel efficiency. Like I said, ethanol contains less energy than gasoline, but for a 10% blend of ethanol to cause a 13% loss in fuel mileage, ethanol would have to have negative energy. And I am pretty sure that outside of the realm of Star Trek that isn't possible. I think that it is safe to say that the American Petroleum Institute (API) is no fan of ethanol and that when they publish material relating to ethanol you can normally expect it to be the most negative information available. In their ethanol backgrounder here is what they have to say about ethanol's fuel economy. So, if we use the number the API suggests of a 2.6% loss that would mean that a vehicle that would normally get 30 miles per gallon with gasoline would get about 29.25 miles per gallon with E10. A loss of about .75 miles per gallon. Factor in the savings from using ethanol blended fuels and the cost per mile should be about the same for both fuels. I ride a motorcycle a lot. I get on average 40 MPG. On every tank I reset my trip meter. Normal low fuel light on straight gas is 147 miles. When I switch to 10% ethanol low fuel indicator is 127 miles. A decrease of 13.6% and my MPG drops to 35. So to travel the same distance I have to buy 13% more fuel using ethanol. I'm buring the same amount of gas just paying for "filler." Ethanol is a scam and everyone is paying for it at the pump and the supermarket. I run E10 fuels in my motorcycles as well as my car and Jeep. I must concur with the findings of the test on California vehicles as I too have not found much difference at all. umm, maybe I'm the only one that got this, but, a fuel blend of 10% causing a 13% loss in fuel mileage is completely possible, none of that negative energy nonsense. The dilution from ethanol causes the fuel mixture to produce less energy overall because it doesnt burn as well and therefore inhibits the gasoline. This however does not require negative energy. In fact, most of your math has a lot of holes in it anyway. your whole 1-4 miles per gallon argument makes no sense because the original data behind the statement was taken by testing cars running on unleaded and then ethanol mix fuel, and, through driving several miles and averaging the fuel consumption per mile, we are able to come to the conclusion that ethanol burns at an efficiency of 1-4 mpg less. Really? Have a link to those tests?